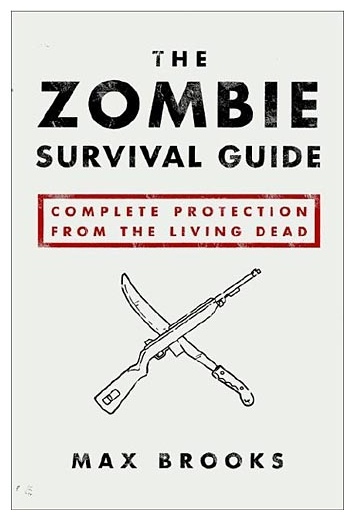 Since we’re talking about zombie survival strategies, you can probably think of a couple of good uses for an ax or hatchet. Pretty much anything you can think of and more is what I’d say these two great tools are good for, provided you get some good ones. There’s nothing worse than deciding to go whole hog on a zombie chopfest only to find you’re favorite ax has a broken handle or dull blade. With that in mind we’re going to talk about some of the most rugged, durable, sharp and generally bad assed axes on the market today. 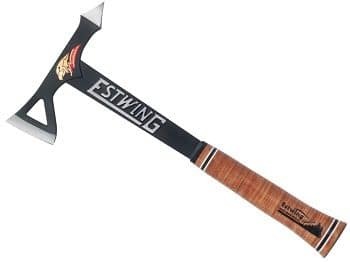 When you need to hack through hardwoods like the burly, zombie-shredding lumberjack that you are, nothing steps up to the task like the Estwing Campers Ax. 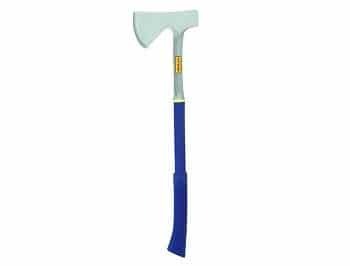 The Estwing Campers Ax is forged in 1 solid piece of polished hardened steel. The solid steel handle eliminates the worry of broken handles. On the Campers Ax they’ve added a nylon shock reduction sleeve that will help to keep the zingers from shooting up your arms as you split your 30th zombie skull of the afternoon. The 4-inch blade on the Estwing E45A Campers Ax sends cuts faster and deeper into whatever you may be chopping for maximum efficiency. You can also use the flat back on the ax head for driving stakes or nails with ease. The sleek one-piece steel construction makes for easy cleanup, too. This is a high-speed, low-drag piece of chopping technology that no zombie survivalist should be without. All right. So this is pretty much a hatchet, but way more badass. I mean, sure you can split wood, and do some chopping with it, this is a fully functional hatchet by Estwing after all. However, where this sweet little chopper really shines is in the realm of hand-to-hand zombie bashing. The balance and durability on this 2lb dynamo are without question exceptional and ready for some serious action. You can hang this baby off of your belt or pack and be ready for just about anything that comes at you. You might even get one for everyone in your group, just to be safe…by “safe” I mean AWESOME.